The Best Boat Ride in New York! « Host A New Years Eve Yacht Party! Whether you’re visiting New York or you’re a local, there’s always a new way to see the sights. The best way is by boat. When you’re on a private boat you can take in panoramic views all while entertaining guests. Great events for booking a private yacht is for corporate events, birthdays, romantic evenings, brunch, you name it. 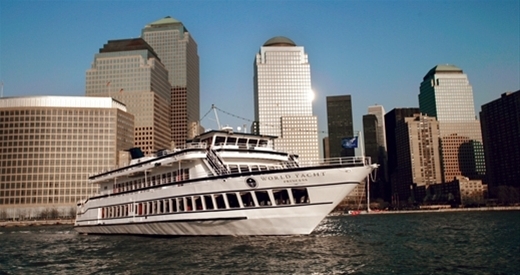 Experience New York without the crowds and traffic aboard your own vessel. Yacht trips in New York City are so entertaining you’ll want to stay out on the water all day. Sail around the entire island of New York and see the Brooklyn bridge with a view like you’ve never seen before. Make your day trip a paradise by planning out your favorite meal and have a DJ to play your favorite tunes. Yachts have been known for being the best location for events, parties, pop-up concerts, and more. It’s the most memorable way to experience a city filled with beautiful skyscraper and dazzling lights at night. Book your own charter yacht today by calling 203-637-0270. This entry was posted on Monday, January 23rd, 2017 at 3:35 am and is filed under News & Events. You can follow any responses to this entry through the RSS 2.0 feed.